His son Robert took over, installled a bigger grain still ’similar to Coffey’s in 1851 and eventually made Cambus one the largest grain plants in Scotland. under Robert, Cambus became a founder member of DCL in 1877. In 1882 it bought Cambus Old Brewery to enlarge the distillery’s malting capacity. Barnard visited in 1886 ant extolled the distillery’s bustling eight-acre site where ‘rail siding ran to all the principal warehouse’. 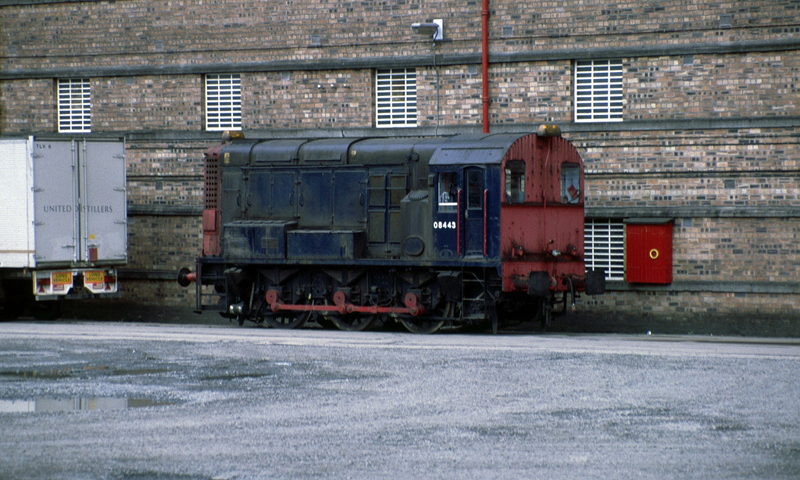 Grain came in by rail and from a nearby wharf on the Forth. Four steam engines and vast water wheel powered by the River Devon drove all the plant machinery? There were two huge Coffey Stills and third still house for yet another was under construction. All process water then came from River Devon, but in later years it was sourced from Lossburn Rervoir in the Ochils while reducing water came from Loch Turret. In 1886, annual output was nigh on a millions gallons and the distillery’s six vast warehouse held, at the time Bernard called, more than 17,000 casks containing 1.4 million gallons. 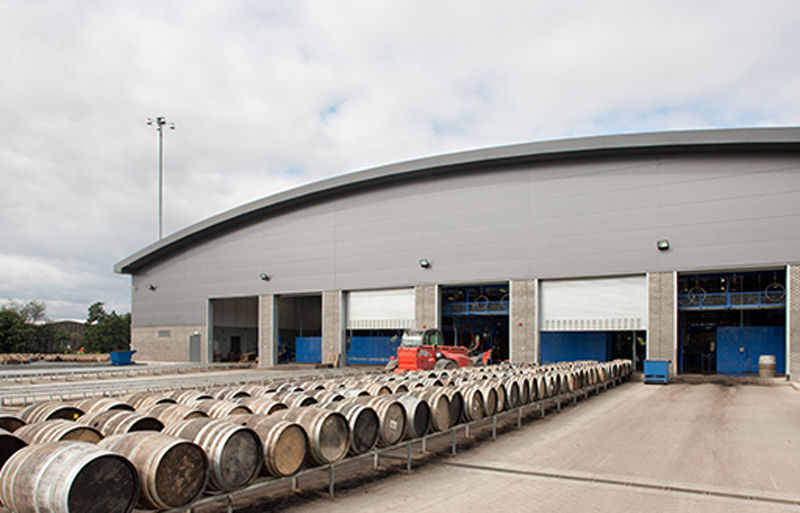 The total warehouse capacity was 25,000 casks and more than two million gallons. Cambus was in the big league. Interestingly, among the excisemen at Cambus around the time of Barnard’s visit was a young man called Philip Snowden, who had just joined the customs service and years later was become Chancellor of Exchecquer in the first Labour Government. Cambus, thanks to its strong position in DCL, weathered most of the storms that beset the industry between 1900 and 1914 until, in that year, disaster struck. On the gale-blasted night of 24 September, fire broke out the malting and grain stores and eventually engulfed most of the distillery. Only the bonded warehouses and their precious contents were spared. As a result the distillery closed and did not reopen until 1938. In the intervening years, it did not lie totally idle. It was used as bonded warehousing and extra maltings for Cambridge. Then, amid the heady lat-1930s upsurge in demand, DCL decided to demolish the fire-gutted shelf Old Cambus and build anew at cost of £275,000. Production started in December 1937 and the distillery was formally reopened in January 1938. A host of projects -including Saladin malting and rectification plant- were planned of Cambus, but the outbreak of war put them on ice. In the post-war years, Cambus saw the installation of rectifier around 1952, a carbon dioxide processing plant in in 1953, 18 warehouses between 1955 and 1957, a cattle feed drying plant in 1964 and a dark grains plant in 1982. 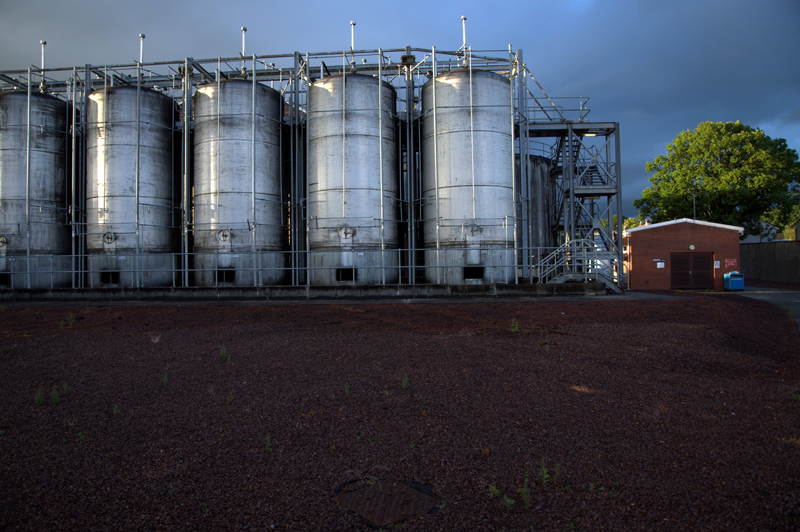 That year the nearby Strathmore grain distillery, which had recently closed, was bought to allow futurs expansion. Yet, amazingly, this a big and indomitable distillery was closed by United Distillers on 14 September 1993 – almost eight decades after its fire-enforced closure of 1914 – and grain production concentrated at Cameron Bridge, 30 mils away in Fife and at Port Dundas in Glasgow. Cambus still stands and is being used as a cask-filling centre and for bonded warehousing. However, it looks as if its distilling days are gone for good.